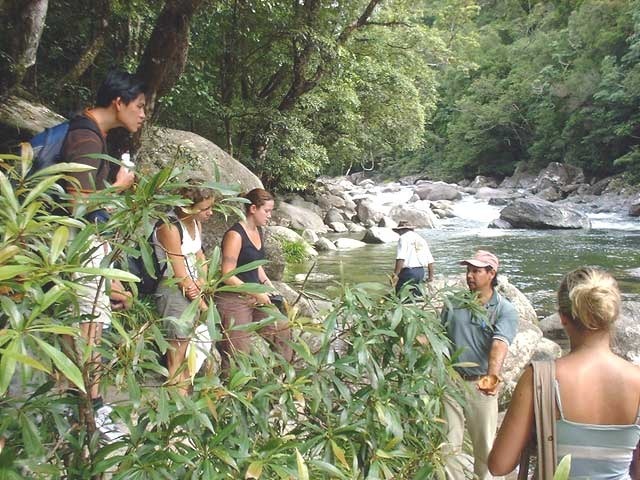 Experience the wonders of the Rainforest and where the Rainforest meets the Reef with Cape Trib Connections on this budget day tour! 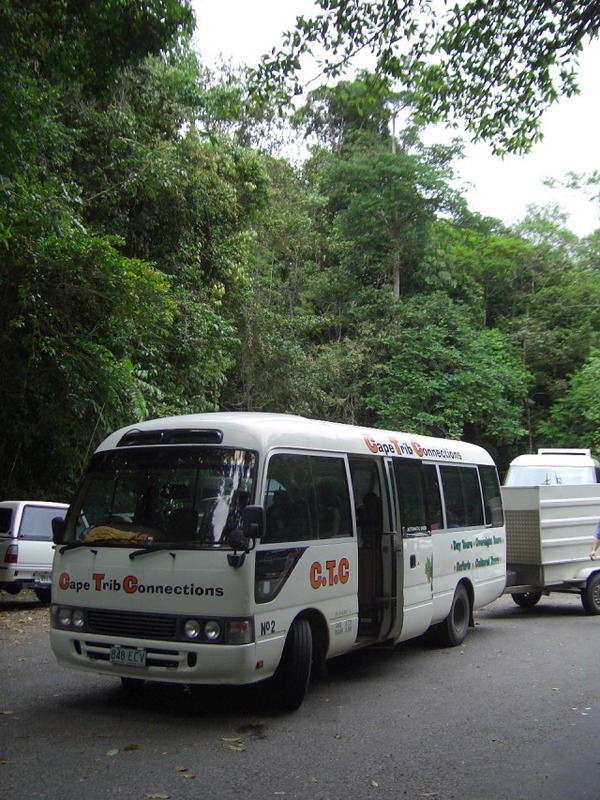 Your tour commences with a pick up at your Cairns Hotel. 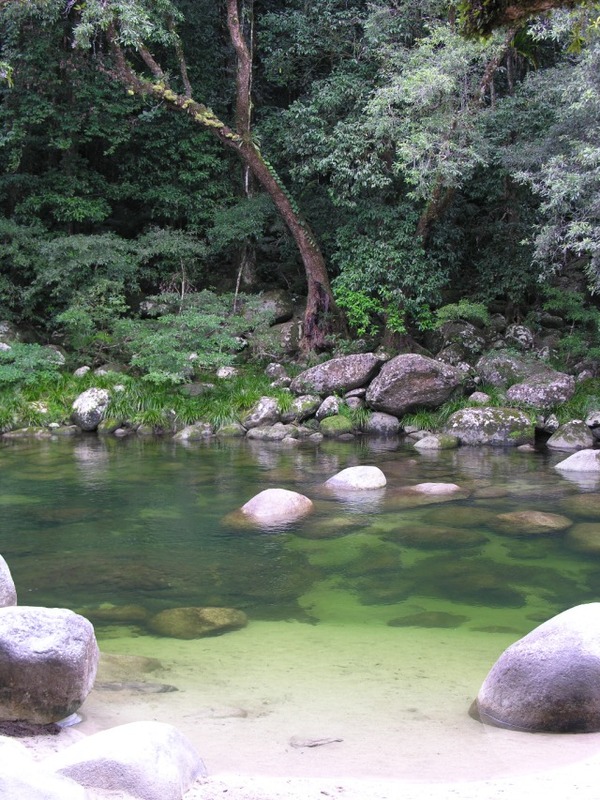 Travel along stunning coastline in a comfortable air-conditioned bus to your first stop Mossman Gorge. The gorge is a magical location for a refreshing swim with time after for morning tea. 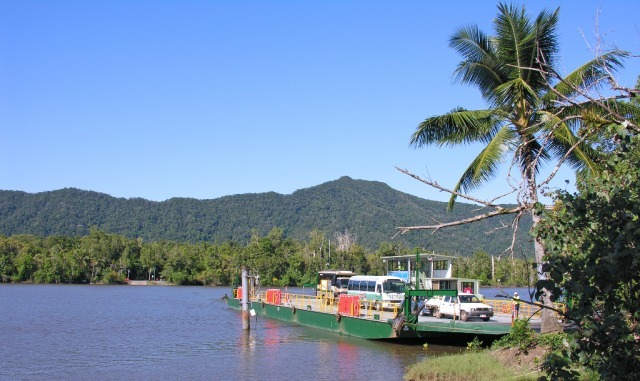 Heading North, cross the Daintree River by cable ferry and enter the ancient Rainforest of Cape Tribulation and the Daintree National Park. 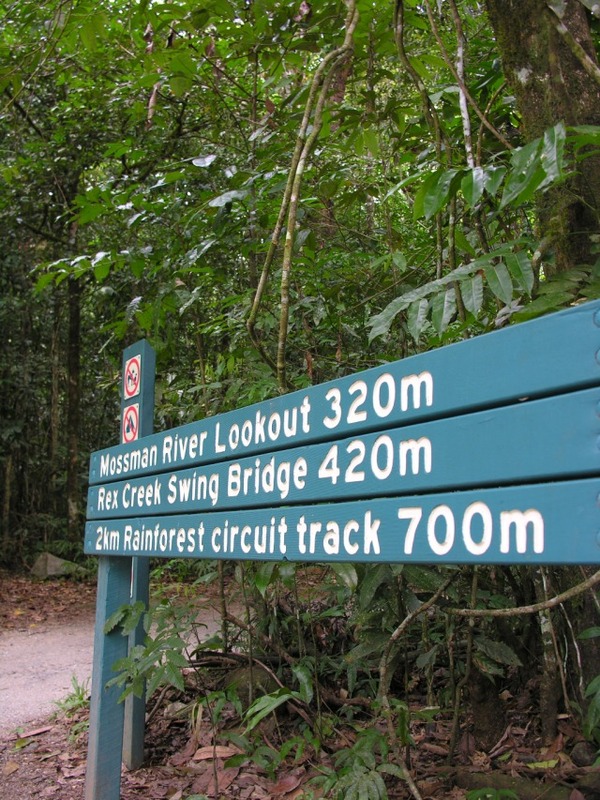 Stop at the Alexandra Range Lookout, and take in the views . Travel north to the Marrdja OR Jindalba Boardwalks and venture back in time. 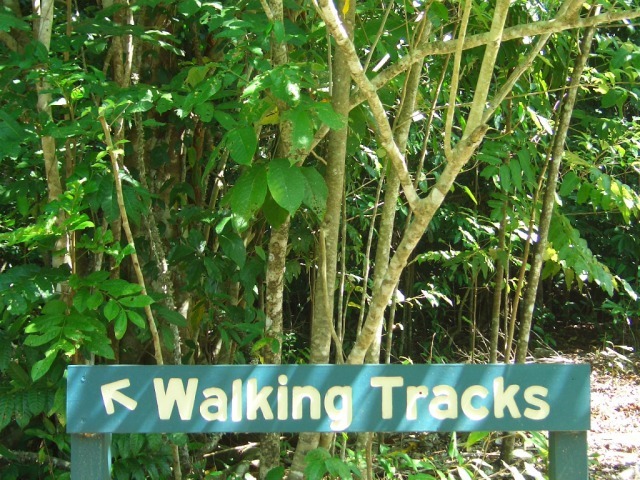 Walk through pristine rainforest that has been left untouched for millions of years. It is time for a picnic lunch at Cape Trib Beach day use area (weather permitting). 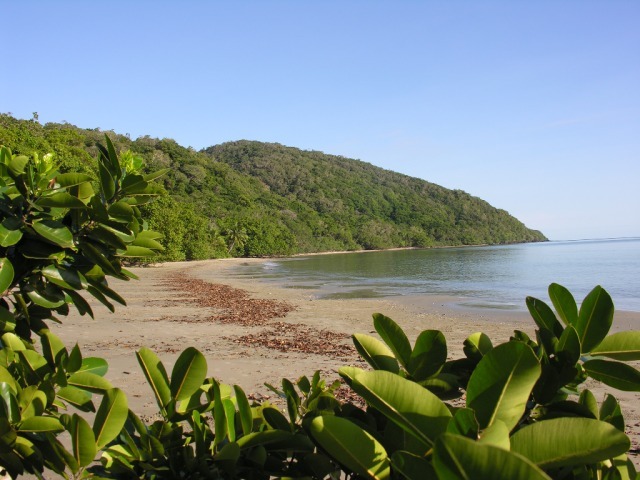 After lunch take a walk on the stunning Cape Tribulation Beach – where the 'Rainforest meets the Reef'. 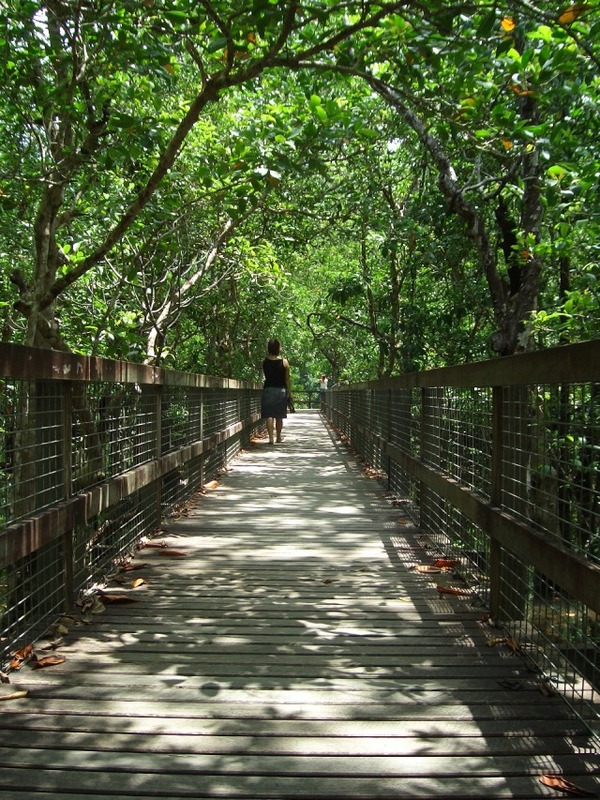 Head back towards the Daintree River via the Daintree Ice-Cream Company. (Time Permitting & eaten on the bus, at your own cost). 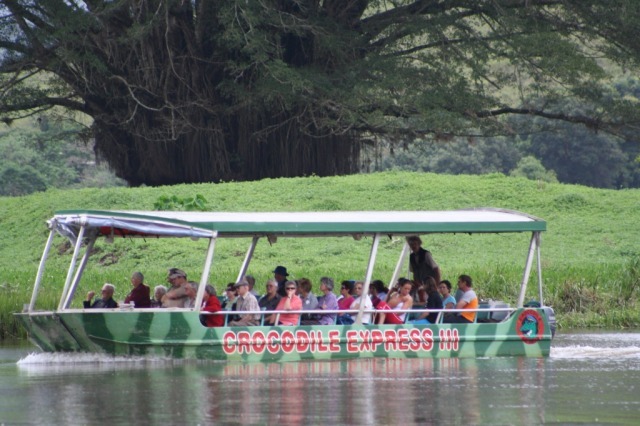 Once you reach the Daintree River It's Croc spotting time! Your adventure takes you through the domain of the large elusive Crocodile. Lookout for Pythons, Butterflies and lots of other wildlife on this cruise. Everyone will have afternoon tea at this time. 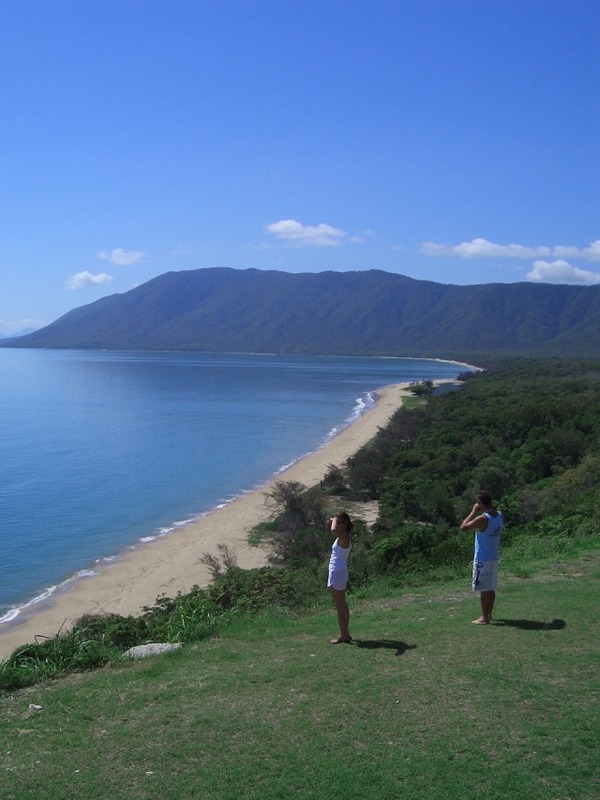 On the way home via Port Douglas, stop at Rex Range lookout before arriving back in Cairns at about 6.30pm. Tour sometimes drops off and picks up overnight tour passengers. Our driver/guide George was friendly and helpful, We had a great time. Cape Trib connections tours was very good value for money. 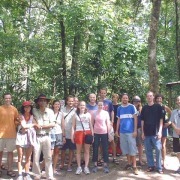 Cape Trib connections tours was very good value for money. George our driver guide was very informative and kept the crowd well engaged during the day. The only draw back was we had only 60 mins to have lunch and spend time at the Cap Tribulation beach. Our guide, George, was very knowledgable and entertaining. First Class. The driver and guide for the day(George) was excellent. A terrific day. Great driver / guide in George who was very knowledgeable. Great driver / guide in George who was very knowledgeable. My only critism is that the tour bus is getting a bit tired for use on a 12 hour trip. On behalf of myself and my three travelling companions I would most sincerely like to congratulate and show our appreciation to George our guide and driver on Saturday October 29, 2011 for our amazing trip to Cape Tribulation - it was so informative and he is such a wonderfully genuine person. The whole day was very interesting, informative, relaxing and exciting. 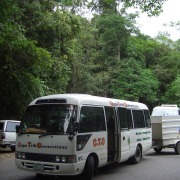 We packed a lot into one day, the driver/guide was entertaining, helpful and informative. The walks at Mossman Gorge and the rainforest and mangrove track were great, the zoo gave us a chance to see wildlife close up, Cape Tribulation was a pretty and restful lunch spot, and the cruise down the Daintree River was very exciting, seeing a lot of crocodiles in the wild. The snacks and packed lunch were good. Highly recommended, and I want to see more next visit! A great personality with a good sense of humour. Our guide George was very informative and it was indeed a pleasure to have someone so passionate and with so much pride in what he does and where he lives .We all loved his dreamtime stories. The tour guide ( a yound lady from the area) made this trip extra special. It was filled with variety and exciting things to do and see. It had sense of adventure and surprise and this coupled with the exciting driving on the cliff top roads gave a greta sense of being alive. The only suggestion I would make would be to try to give a little more time at one stop for a swim and maybe shorten the time elsewhere. Though waht to leave out or cut down is the problem. George the operator of the expedition has been great.Forever stays in our memory.Very energetic,helpfull,a lot of sense of humour and knowledge.Please say thank you from Jan and Margaret.We still love him. My trip commenced at 7.30 a.m. when I was picked up at my guest house by our guide for the day, Beck. She grew up at Cape Tribulation in the middle of nowhere with no electricity and therefore knew a lot about the area. 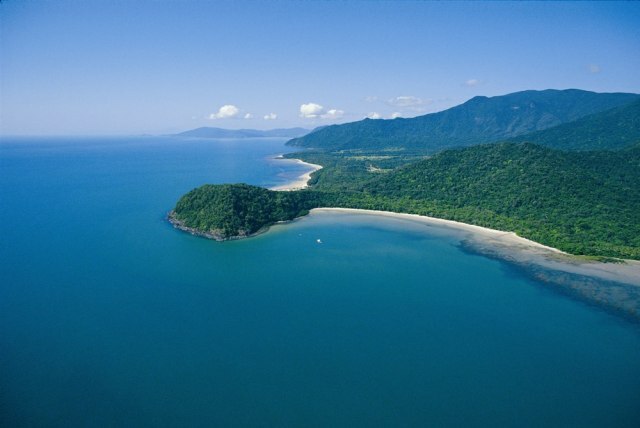 Together with a group of excited tourists we headed north along the coast to Port Douglas. Picking up some more passengers and passing Port Douglas we finally arrived at Mossman Gorge where a river cuts right through the rainforest. 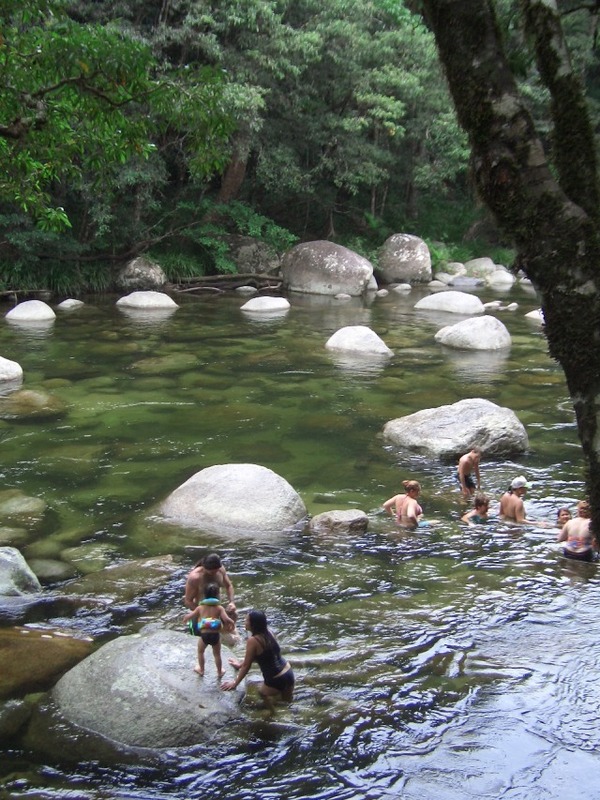 Most people didn't take the opportunity to swim due to the chilly water and the slippery stones. 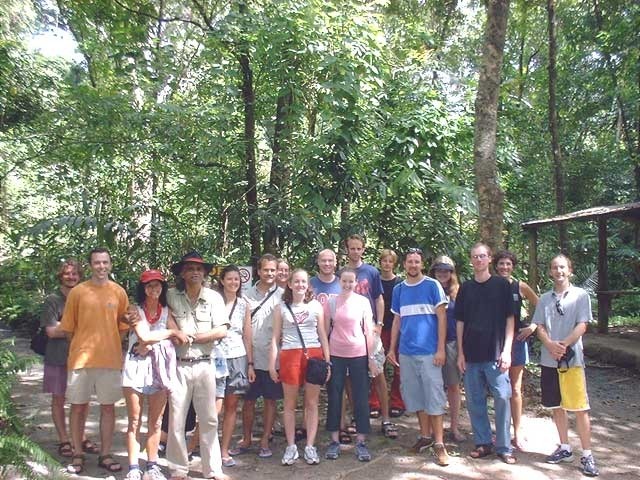 Afterwards, we continued to the Daintree Mangroves Wildlife Sanctuary. There, we got really close to cassowaries, kangaroos, a wombat, various parrots and possums. Our brilliant timing gave us the opportunity to watch the freshwater crocodile feeding. We also enjoyed morning tea at the sanctuary. 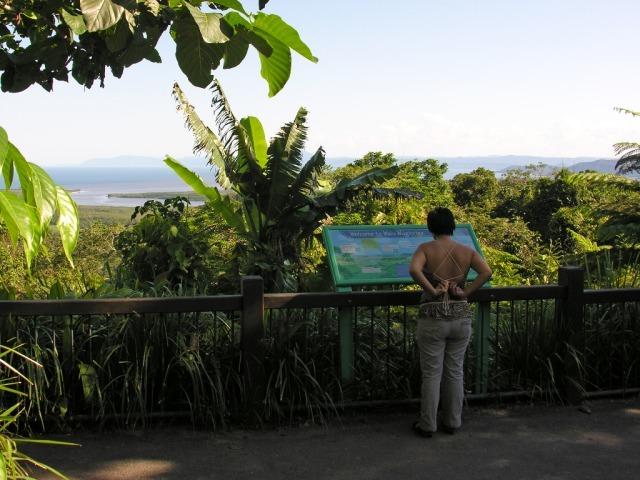 We then crossed the Daintree River on a cable ferry and stopped at the Alexandra Range Lookout which gave us a view of the river and the surroundings. 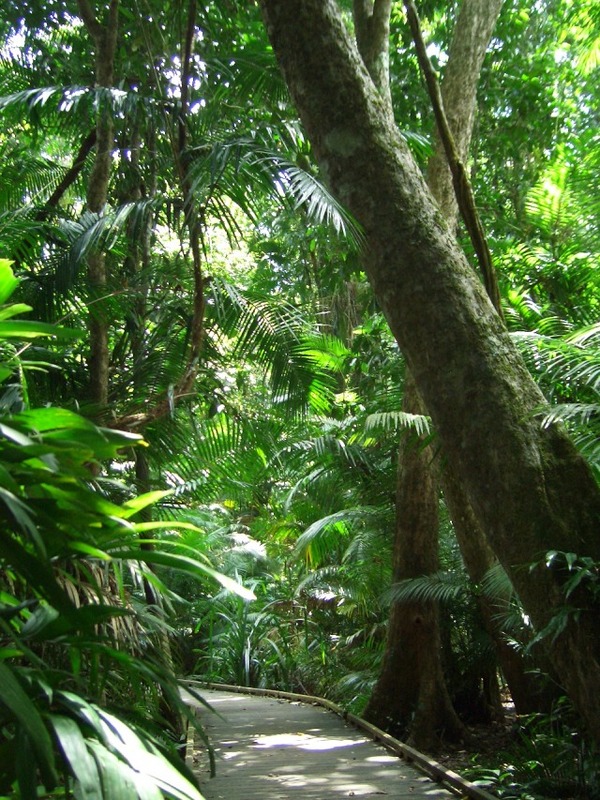 Then, we walked along a boardwalk through the ancient Daintree Rainforest with its fascinating flora. At about 1.30 p.m. we had lunch right next to Cape Trib beach. 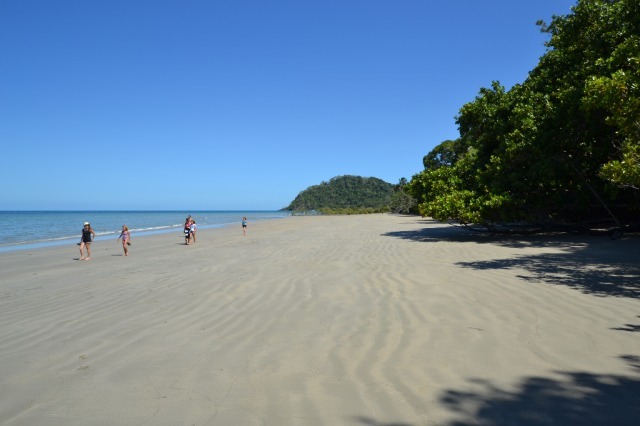 A quick walk along the beach or even a short swim in the Coral Sea was followed by a stop at the Daintree Ice Cream Company. 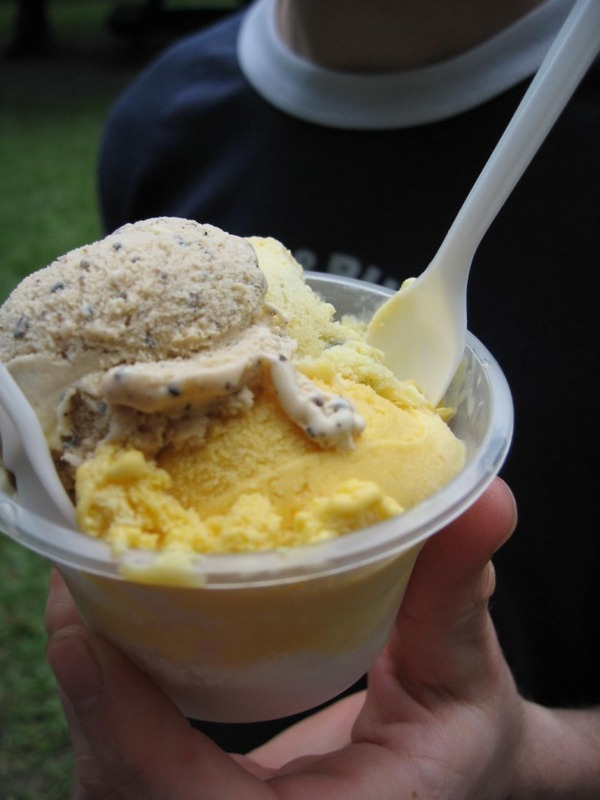 We could buy a cup of hand made, fresh local fruit ice cream or fresh mango juice which both tasted great! After this delicious refreshment, we crossed the Daintree River on the ferry again to go on a river cruise. But before, we had some time for afternoon tea. 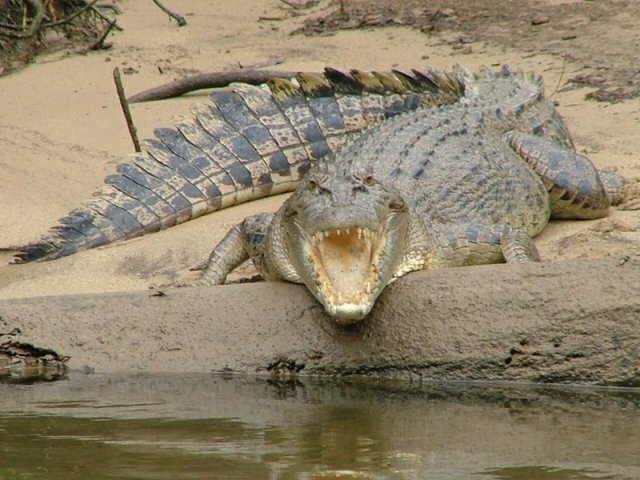 On the boat, we rode along the river banks looking for saltwater crocodiles. In deed, we spotted a few crocodiles lying in the sun and our cruise guide got us really close to them for some good pictures. 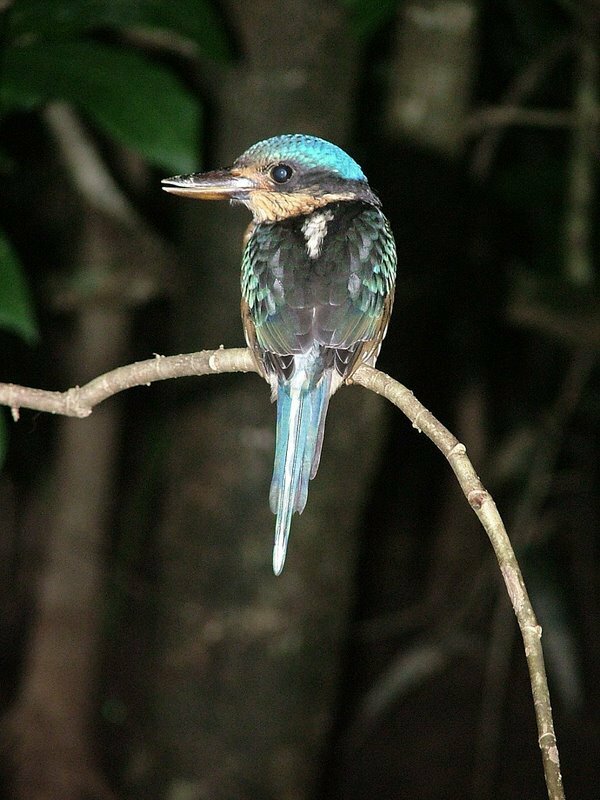 Furthermore, we saw the beautiful blue-coloured Kingfisher bird. On our way back we stopped at a lookout just next to the coastal road where we had unfortunately just missed sunset. Before arriving in Cairns at 7.15 p.m. we took a little detour through the small and pretty tourist town of Port Douglas. Fantastic day, the guide Peter was a fountain of information and interesting knowledge, all the stops we did were fun and interesting, they only thing we could complain about was the packed lunch they took for us to Cape Trib, just simple sandwhiches would have been great, and we did get a little eaten alive by midgies while eating there too, but overall was a day we enjoyed immensely! This was my favourite day! This was my favourite day! The guide for the day was fantastic. What I enjoyed most was the stops along the way (ie. 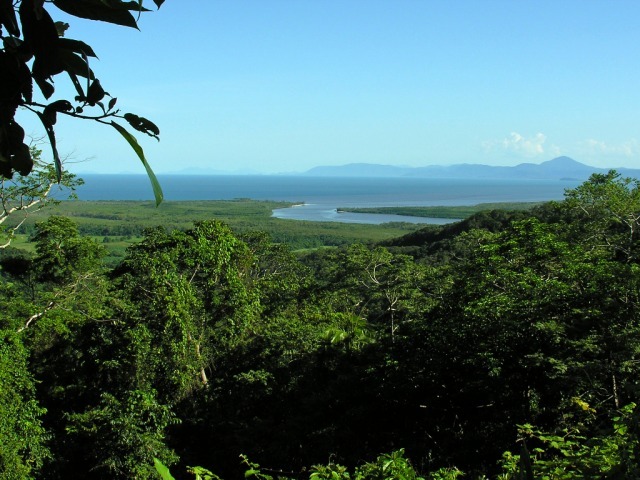 wildlife reserve, Daintree ice cream), and the river safari. The Tour guide himself was very good. Overall it was good value for money,I think the stop at the Sanctuary could have been more informative with a guide perhaps...we covered alot in one day. Weather dampened day, but driver/guide certainly made the day one to remember!! i love this tour. time spent on the first boardwalk could have been longer though. A full day and excellent value for money. Our tour guide was awesome! All credit to him for making it a educational and fun trip! Our tour guide was sensational, he knew so much about his surrounds and was so informative. I have seen more waterfalls and rivers than I have seen in my whole life. Tour guid for that day was unbelievably knowlegeable. He was remarkable. We had a great day and have seen and got to know lots and lots of things. I want to come back again and stay for at least a month to explore as much as possible. I would love to go in to the country side. To have a guide with the passion for the far north was a bonus, you should give Coral a big bonus this Christmass.